Laying the wrong foundation for your marriage can only land you in disaster. 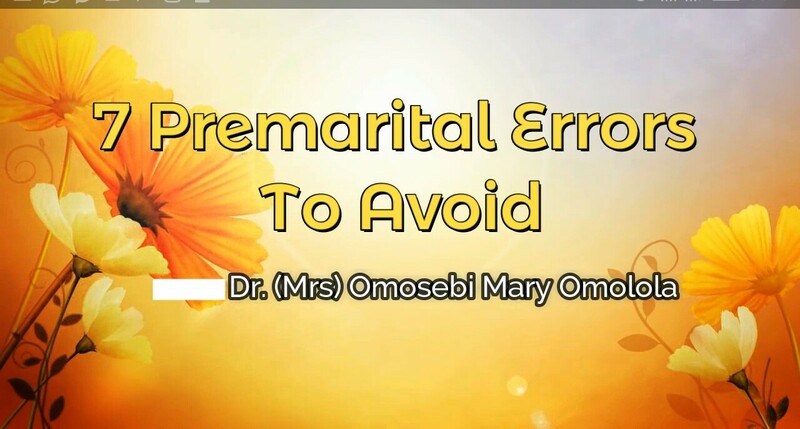 I have identified some errors which can destroy your ‘happily ever after’; that you can fall into while looking forward to married life. I have chosen to share with you 7 of these errors in this video.